In Libya, forces loyal to dictator Muammar Qaddafi made rapid advances against the rebels on Saturday and Sunday, pushing them out of Ra’s Lanuf, and then Uqaila, and finally claiming to take Brega. Since Brega (Marsa al-Buraiqa) is only about 150 miles from the main rebel center of Benghazi, there are now fears that Qaddafi’s victorious advancing forces could take it and snuff out the opposition relatively soon. Aljazeera Arabic is reporting that the rebels are still fighting to the east of Brega, and that they staged a successful ambush in which they took 14 Qaddafi loyalists prisoner and killed 25. (These allegations have not been confirmed). 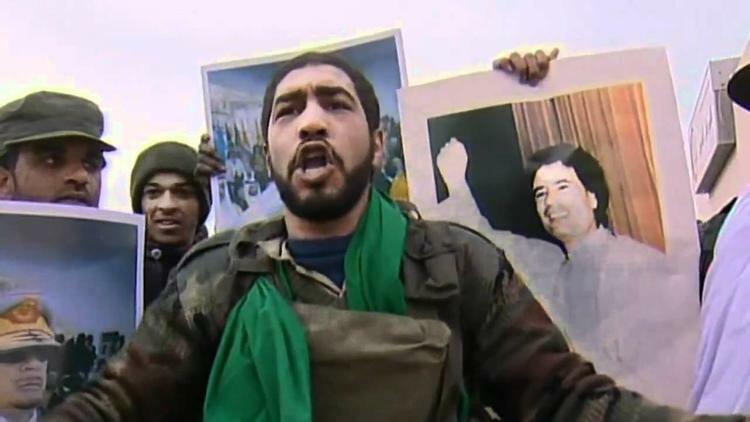 What stands in Qaddafi’s way is the city of Ajdabiya (pop. 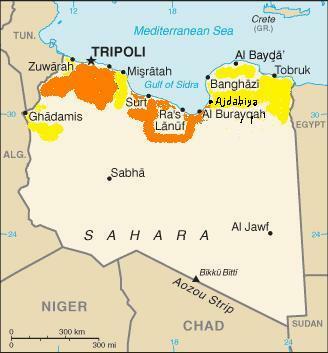 200,000), which is garrisoned by rebel forces led by former Interior Minister Abdel Fattah Yunus. Gen. Yunus says he is confident he can defend Ajdabiya, and that from there east the urban populations are themselves heavily armed, which will make it difficult for Qaddafi’s forces to make quick, unopposed advances. It is true that the rebels only had Brega and Ra’s Lanuf for a few days, and that those towns are sparsely populated. Aljazeera Arabic is reporting Monday morning that Ajdabiya is being heavily bombed by Qaddafi’s air force. The only good news for the rebels on Sunday was that a government assault on the western city of Misrata (Misurata), pop. 600,000, was allegedly derailed by a division within Qaddafi’s troops. Two factions are said to have fallen to fighting with one another, perhaps over plans to invest the city and massacre rebel leaders. If Qaddafi’s men can take Misrata and Benghazi, the rebellion will be effectively snuffed out or forced underground as a guerrilla movement. My recent interview on Libya and other Middle East issues is here.